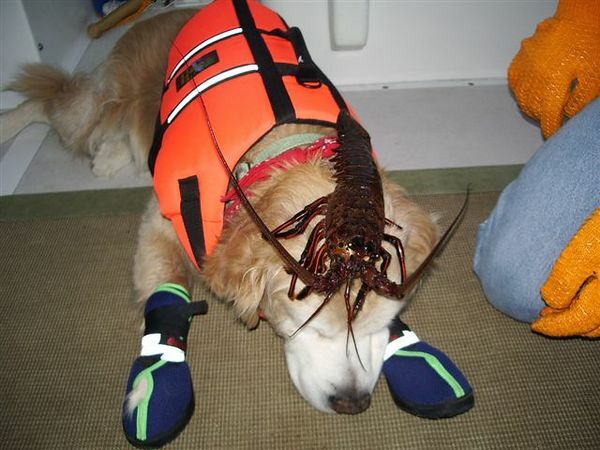 Sammy and the Lobster. This could be a very bad thing to do on the Voo Doo scale since from about this moment thru the next 2 weeks we got pounded by wind and sea. Be ye mindfull.